Finally we are online! 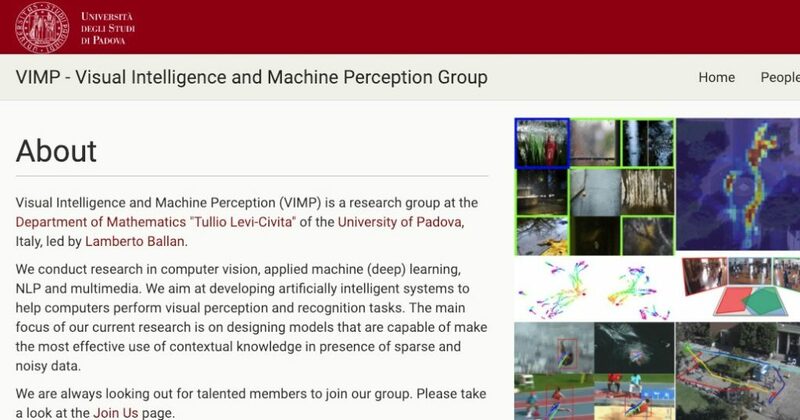 Check the website of my group at the University of Padova. We conduct research in computer vision, applied machine (deep) learning, NLP and multimedia. We aim at developing artificially intelligent systems to help computers perform visual perception and recognition tasks.